Most of us, being singers, mostly focus on the higher notes at the time of vocal training. But one can perform excellent if he/she knows how to sing deeper. Hitting low notes can make your sound rich, and make you a versatile singer. So today, we are going to discuss some solutions which can increase your lower range, so it doesn’t hurt you, and you don’t have to strain. Stay tuned and know how to sing deeper by reading this article. When we sing low notes, we think that we are singing from down. The main pitfall to sing low notes is to grip and down our larynx. (Your larynx is your voice box by the way!) So, the main thing you want to do is to get your sound of your cord and actually be able to pump up those note which is hurting is to think about low notes as swanning literally in your chin. As you go lower, you want to resist the urge of letting it fall back from your mouth to your throat. A perfect exercise you can do is that you should explicitly use the beat as a bottle stopper and kind of pulling up the breath before you sing. Take some time to build that up. The other thing you should think of is that when you are going down low to your lower range, is you have to make sure that you are using your breath. At the bottom of your range, you are using more cords. (You can take an example of guitar strings. There, the thicker strings are lower!) Use more breath support and a more prominent core down there. So, don’t cheap out on the breath, give it breath and launch it to the chin. Don’t think about your throat, but you must think about what’s bypassing the throat! Building up that bottle stopper feeling, and really use it there. That’s really how you are going to develop the lower range. The best way to develop a lower note is to relax. Take some deep breaths through the nose and relax your muscles. You can also take help of hands to do massage on or near to the larynx. Warm up your voice. Take a few breaths. Keep your posture upright, straighten up, and keep your chest low and relax. Practice your scales. Sing a few notes, starting with a low pitch and ending in a high one. Make a “Kazoo” buzz. Round your lips, inhale and then exhale while making a “Woo” sound at a single pitch. One another tip which professionals love to give is to practice singing scales for half an hour daily and review on lower notes. Getting it off to the throat into the mouth and utilizing the right amount of breath. So, now any of you all great singers ever have the confusions regarding how to sing deeper or bass, you just have to go through these simple tips. Let’s get the quick overview. Allow the conversation your words to flow. Don’t think about it too much. It will give you the natural depth and helps you to sing deeper. For that, you can go from one side to the other side, you can go from back to forward, go-around, and such simple neck stretches will allow your voice to be more relaxed and for that natural depth to come into play. This may sound crazy to some of you, but it is a useful method to develop a lower note. Yell as loud as you can and what it does is it’s allowing you to release any trapped emotions. Psychologist says that it is beneficial as throughout the life, we all begin to build neurotic holding patterns, and we have our stagnant energy within us. So, all those emotions that are trapped inside us, whenever you speak to someone or sing, you never be there accordingly. 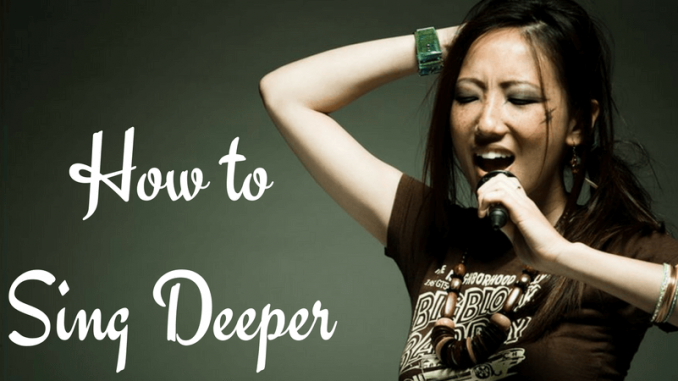 So these were some basic and super easy tips which can help all of you to sing deeper. You can also use some of the best orchestral VST software to improve your lower vocal range. 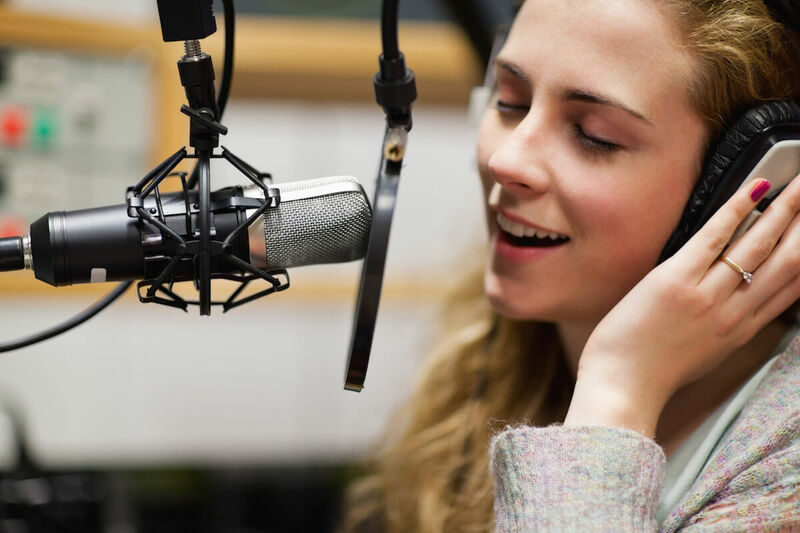 Hope this article is being helpful to you so that you can become a versatile singer as soon as possible. Just have patience, control your voice, and just breath! You will rock the show. Have that faith and keep singing!